Okay, you’ve already seen this one, but this is the cover with the spine and back for Alpha ? Just let me post real quick so I can squeal over this. Isn’t it gorgeous? Lol, I feel so bad for the cover designer, she worked so hard on this. She basically had to redo the original cover from scratch in order to make the sizes right since the print size I’m going for it a little different than usual. Think close to Harlequin size. She didn’t have to do that either, she surprised me with this since she’s amazingly awesome! And look at those wolf heads! I love them! 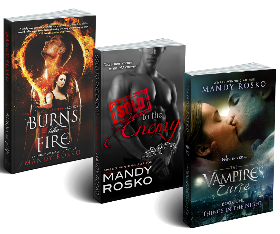 God, I can’t wait to put this up on Createspace and hold this in my hands ? I hear there might be some trouble with expanded distribution, but I’ll wait and see on that one. Anyway! I just had to gush :3 This cover is my new favorite thing I can’t wait to see what Alpha Bear will look like when the spine and back get finished on that one, though that won’t be for a month at least, most likely more since I’m just finishing that book up, and it still needs to go through edits. 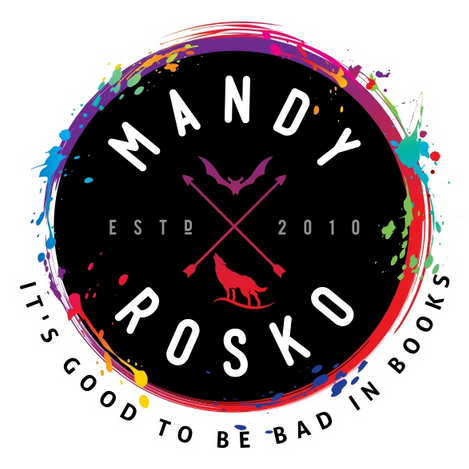 To get my Starter Library for free, check out mandyrosko.com and sign up for my mailing list! Happy Reading!